Voyager 2 is currently traversing the heliosphere, the shockwave where the solar wind and particles of the interstellar medium meet. Decades after launch the Voyager probes are still transmitting data back to Earth, at 160 bits per second. Starting April 22, 2010, the checksums in the Voyager 2 datastream indicated problems in every frame. Something bad had happened to the spacecraft. After several weeks of testing, JPL determined the root cause to be a flipped bit in the computer's memory. A bit had spontaneously changed from zero to one. JPL duplicated the incorrect checksum symptom by deliberately flipping that bit on a terrestrial copy of the Voyager computer system. 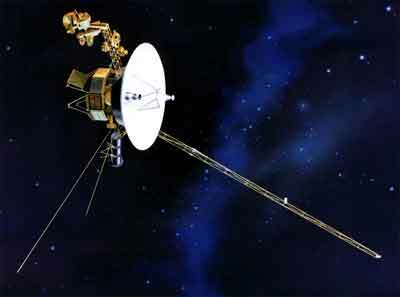 On May 19, 2010 a command was sent to reset the bit to zero, and the next day (after 13 hour propagation delay each way) Voyager 2's datastream returned to normal. It appears to have been a soft error. What is most interesting about this is the technology involved: the Voyager computer systems use magnetic core memory. On Earth, soft errors in core memory of this vintage are essentially impossible. The amount of energy required to flip the bit is so large that any particle with sufficient charge would have been deflected by the Earth's magnetic field. Out at the heliosphere, particles carrying sufficient energy to affect the core memory are apparently present. 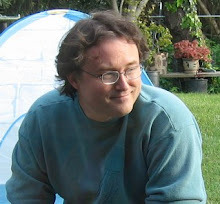 Software engineers at JPL are currently working on a software patch to stop using that bit in the core. It is possible that the problem wasn't purely random, that instead this particular bit of hardware is degrading and no longer holding its state reliably.